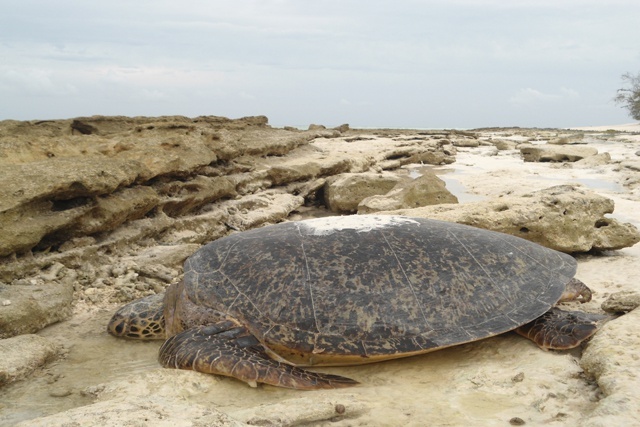 (Seychelles News Agency) - Data analysis of 20 years of turtle monitoring on Aldabra is helping Seychelles Islands Foundation (SIF) officials observe the movement patterns of these sea creatures and be in a better position to understand threats they may face at different stages of their life. The in-water tagging and monitoring of both the hawksbill and green turtles on Aldabra were initiated in 1986 by Jeanne Mortimer. After several years, the project was handed over to the staff of the foundation on Aldabra. “Further understanding of these movement patterns will mean that turtles can be protected across the Seychelles,” said Lorraine Cook, a volunteer on Aldabra. Aldabra -- one of the world’s largest atolls -- is a UNESCO World Heritage Site in Seychelles, a group of islands in the western Indian Ocean. According to the International Union for Conservation of Nature (IUCN), the green turtles and hawksbill turtles are listed as endangered and critically endangered, respectively. Since 1996, over 900 green and 392 hawksbill individuals have been caught and tagged in the lagoon. Staff involved in the research have to dive off moving boats to capture swimming turtles, earning this type of monitoring the name ‘turtle rodeo’. Once caught, the turtle is tagged, if it has not been done previously, and details, such as body dimension measurements, body condition or presence of disease, are recorded. The analysis of historical turtle rodeo data also provided the opportunity to revise the monitoring protocol in order to ensure that it is efficient and the results are useful. The results of the two-decade worth of data also show that each species are distributed differently within the lagoon, highly linked to how their food sources spread out across the area. The majority of hawksbills are found in the eastern lagoon and most greens in the western lagoon. “Recaptures of tagged turtles over many years have shown that both species have high site fidelity, being most commonly [sighted repeatedly] at either the same location or a neighbouring one,” said Cook. While found all over the lagoon, turtles are concentrated around mangrove areas and lagoon channels due to the protection offered from sharks. These areas are also abundant in food sources - seagrass beds, macro-algae and corals. Abundant, undisturbed foraging and developmental habitat with few threats allow Aldabra to support a large population of turtles. Juvenile and sub-adult turtles, of both species, can be found in higher density within the lagoon. They are also found in lower numbers in Aldabra's inner reefs along with adult turtles. 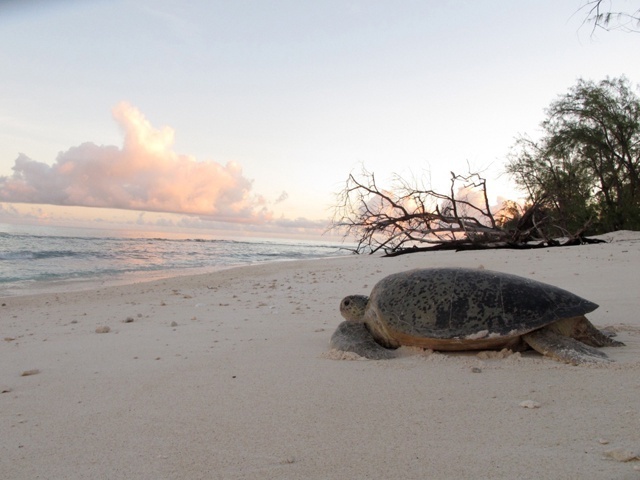 Apart from the tagging of juvenile turtles on Aldabra, the Save our Seas Foundation team conducts similar monitoring on D’Arros Island and St Joseph Atoll. 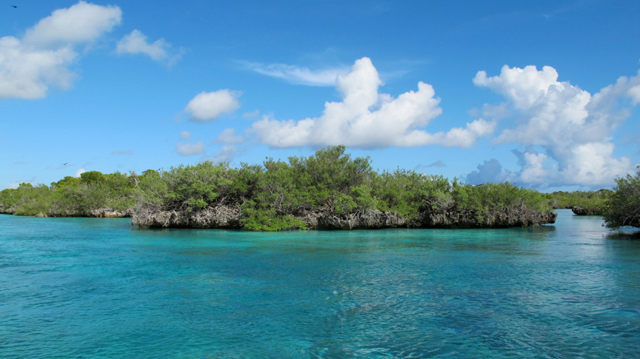 Aldabra remains an important site for the conservation of these species.